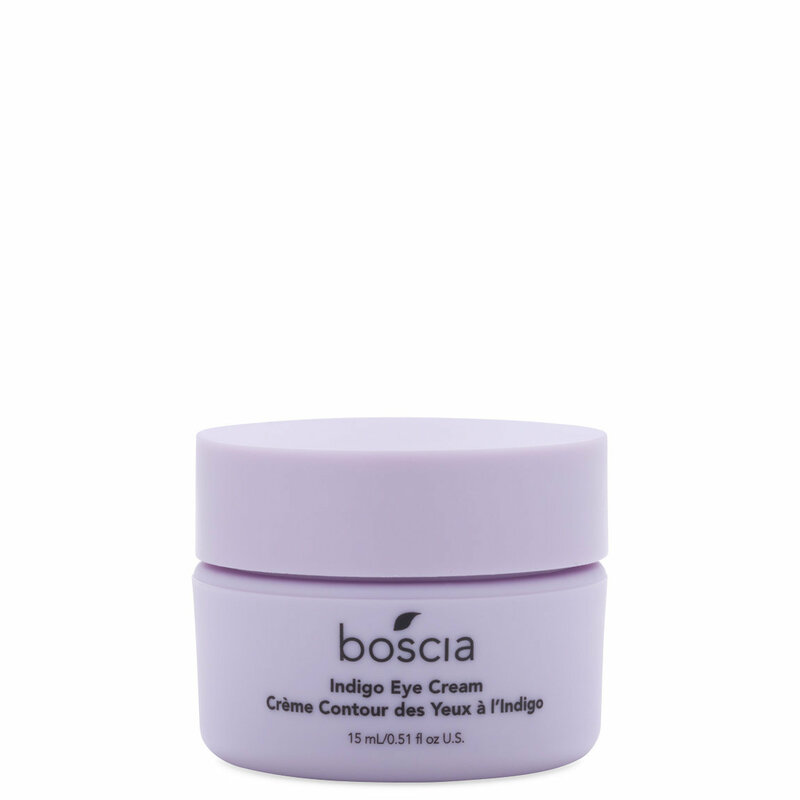 This one-step wonder eye cream crafted with Wild Indigo works to hydrate and color-correct the delicate under-eye area. Soft, blurring pigments help illuminate and disguise dull, dark circles while Wild Indigo wakes up tired eyes by reducing the look of puffiness for a wide-awake, brightened appearance. Apply to fingertips and gently pat around eye area in the AM or as needed. Wild Indigo: Reduces dark circles and increases luminosity. Calms inflammation and puffiness. Delivers hydration and balances moisture. Color Correcting Pigments: Soft blurring pigments brighten the eye area. Combats dull and tired eyes. Brightens dark circles. Hand Harvested Fucus Algae: Stimulates target enzymes in the skin and minimizes the appearance of dark circles. Provides anti-inflammatory and antioxidant properties which stimulate collagen production. Cacao Root: High in antioxidants and blocks harmful free radicals. Helps combat fine lines and wrinkles (premature aging). Contains Vitamin C and Magnesium, which helps in protecting the skin and boosting skin health. Gingko Biloba: Rich in Vitamin E- replenishes and nourishes delicate eye area. Prevents fine lines and wrinkles. Rich in antioxidants- fights free radicals. Almond Oil: Rich in Vitamins A,E, and B as well as essential fatty acids like oleic and linoleic acid which are nourishing and hydrating. Avocado Oil: Rich in essential fatty acids and Vitamin E (nourishing and hydrating). Rich in Vitamin A and helps to reduce fine lines and wrinkles. Hyaluronic Acid: Delivers lasting hydration to skin. Plumps and smooths skin helping to diminish fine lines. Strengthens protective barrier to give you stronger, healthier skin.